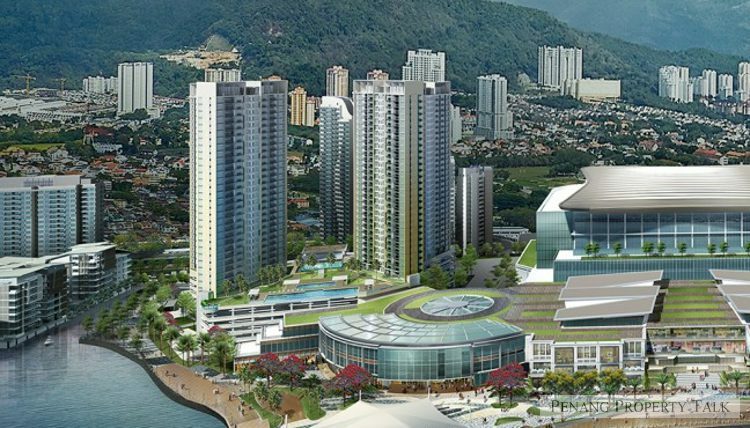 The Mezzo, the first residential project at The Light City – a large-scale 32.76 acre integrated mixed-use waterfront development by IJM Perennial Development in Gelugor, Penang. 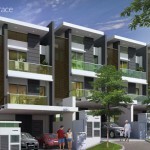 It is strategically located next to the Light Collection, just a mere minutes drive from Penang bridge. This residential project comprises two 34-storey residential towers, offering 456 condominium units with various built-up sizes. It is expected to be unveiled soon. looks so plain! how to sell high price? Even the Waterside Residence façade looks better. platino is a better choice, if you ask me. Just when to their roadshow…. there is only 2 type of size, 1000 and 1300. Their targeting to sell at 1K per sqft. The price is worth for this location or it is too expensive?Lots of ppl buy? brian :Just when to their roadshow…. there is only 2 type of size, 1000 and 1300. Their targeting to sell at 1K per sqft. Wow, 1K sqft! Property market recovering? Hahaha, Agent seem confident he will sell at that price. Reason given, Direct true seaview and nothing infront…. IJM priced it at 1k psf not because they think it’s worth 1k psf. If they price it lower than 1k psf, then get scolded by the light phase-1 buyers for pricing lower than what they paid many years back. If they price it above 1k psf, then cannot sell at all coz too expensive. that’s from the perspective of pricing. If you ask what is the “intrinsic value”, a savvy investor would only put it at ~750 psf. 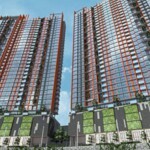 Hi, i book Queens Residences with direct sea/pool view, RM1K psf, Size is 1200sf n 1400sf. I willing to pay it with matured Queensbay Mall n future Pulau Jerejak projects. Very exciting. Hello Samuigirl, you,re buying at off season when price may have peaked for now. 1k per/sf is really nothing to shout about when you got in at peak. Property markets go through highs, lows and bubbles… while I dont hope for bubbles, common sense will tell it is not a sellers market now. Honestly, I would not pity The Light phase one buyer as it would make your purchase sort of a rip-off really. I hope this is not your first buy and you had in fact also gone in at peak seasons many years back. And if you had plan to stick around with Queens Residenses in the long term I would say great. If you are in for the short term, be prepared for hard landing. It’s very pathethic to be excited over Pulau Jerejak really, it’s anyone’s guess what could really happen next. I agree with you Queens Residences location is better than Mezzo. IJM is also planning a mall here, but it is destined for failure. The intrinsic value of Queens is ~780psf. If you pay anything more than that, than you’ve got yourself a bad deal. Which group of consumer that The Light City want to attract? Foreigner? I think foreigner still prefer over Tg. Bungah site. They must have proper planning to divert the traffic out from The Light City. Is that true got MRT/LRT over there? If yes, it will ease the traffic. Any buyer want to buy the property due to the convention center and mall? The mall is like UDINI SQ? That is failure project. As I know, IJM never build a successful commercial project except Maritime? Karpal Singh is very congested and hard to find car park. Hope LRT will stop by there. 750 per sqft is what tamarind cost currently. anyone who can hold it know it will double in 10 yrs time.. this is property, long term investment. believe in the location and future growth.. The Light City have a better township planning than Queensbay area since it was under 1 developer. There are going to be lots of residence project around QBM like IDEAL, ASIA GREEN, TROPICANA IVORY, those all high dense in the future. Wah, double in 10 years time for Tamarind, it’ll cost >1.5M……….How about Quayside after 10 years? >4M? Just curious why some buyers still believe Condo’s price will increase by 2x, 3x etc. Those days had gone, please wake up. Those days condo were sold at RM200-RM300/sqft, how about now? You are considered lucky if you can gain >20% profit from your investment, that’s the truth for now & future. Do you think Marriott Residence deserved to be RM1600 psf ? If yes, why can’t Mezzo and Light properties be same or higher ? Not only the price increase of condos will slow down, same goes for landed. But I think small condos in tanjung tokong has big potential as they are really dirt cheap to foreigners, seriously unbelievably dirt cheap. The Mezzo is freehold or leasehold? Durian Prince :Do you think Marriott Residence deserved to be RM1600 psf ?If yes, why can’t Mezzo and Light properties be same or higher ? Marriott Residence by BSG is target for ‘waterfish’… rm1600psf hahahahah. You can get better bigger super condo at that Gurney millionaire row with lower PSF price. Pls recommend ? There is some new stuff coming up near Gurney Paragon ? Heard over 90% sold out in M.Residence to water fish already, not bad lah. 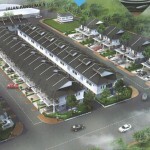 Just check, Mezzo will price RM900 to RM1000 with all 4 blocks partial facing seaview. Advantage is it direct link to future shopping and conventional hall. lacking is, it os still very far, about 700m from future The Light LRT station, in front of E-Gate. Too far to walk. 700m to future LRT station is no big deal, provided the walking path is pedestrian friendly and covered. if no covered walkway, try walk 100m under the hot sun you also sweat like hell already! Land getting less and population growth. They should reclaim land from Penang Island until Seberang Perai. Then, we have much bigger land for more houses and development. Also save cost to build bridges. Between the reclaim land below can have tunnel to let fishes swim across. Don’t just think for 20 years. Look ahead 500-1000 years !! Eventually it would !! Check the population growth in Penang first before punting. If you guys are buying for staying, forget the valuation but if its for investment, you have got to see how many projects (providing how many residential units) in the pipeline and existing projects (completed). Currently over supply like no one’s business… high end is still north (TT/TB side of Penang,… especially for tourist/foreigners…. local mostly target south… take sungai ara for example, its crazy… I think it will take 10 years just to fill what’s available now (assuming no new project). RM1.6k per sqft is future price to the max. forget flipping let alone rent. The Light Investor Owner Problem. 7. Its because mostly of The Light owner is for investment, not for own stay. 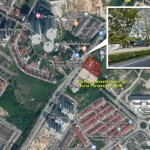 IJM need sacrifice some area and cost to do something fair to The Light Investor to reactive the lively/exciting/crowds for The Light City start the partial/minor commercial lot really like waterfront city/ look special in penang 1st before start the new project like Waterside and Mezzo. Because many The Light resident or investor cant wait for their coming commercial project done many year later. It can be some iconic art/ landmark building/sea side gardening and create some night life especially or modern food street or family friendly week end gather area (can included small simple garden by the sea for family camping side even with enter fees) or some country cultural street or any others creative idea that open for public. This all not only can stimulate for The Light project but also will help in the coming project selling point. What will happen if after done Waterside and Mezzo, The Light City commercial phase project facing some problem and pending for another 10 years. For those project nearby QBMall, at least investor got some guarantee for the ready crowded area like bay avenue and QBay shopping mall. Above is my personally simple and purely comment from what i m thinking to sharing, since i also not the big prayer or professional in this field. Do you think you are smarter than the IJM Marketing team ? Commercial come first bla bla bla, you talk as if you are Hong Kong Lee Kah Seng ? Commercial without economy of scale who going to run business there ? Which anchor tenant will come in without population ? common sense wei. Actually, IJM marketing team is not that smart, it’s just that the waterfish who bought all those useless condos there are just stooopider than them, as well as all those who were critical of IJM’s unscrupulous marketing tactics. cheers! What is the price and promotion ?